This article explains how to import in bulk your product database in your Hiboutik account. If you already use a point of sale system, you should be able to export your product data in spreadsheet readable data files (like CSV). You can ask your solution provider how to do it. To import product data in Hiboutik you will use a CSV template. If your products have variants and you want to import specific information like existing barcodes or prices by variant, you can do it in a second step. 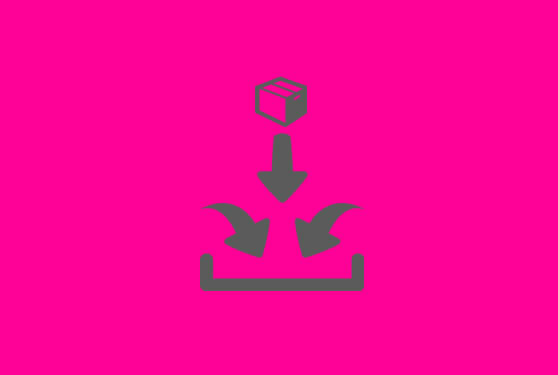 To export or import data in your Hiboutik account, you must enable the right in Settings/Users/Access Management: Manage the export and import product files. In Products/Import-Export, go to the « Upload data: Products » section. There you can download a CSV template (delimiter ; and UTF-8 encoding), that you can open in a spreadsheet (like Excel). Fulfill it and upload it into Hiboutik. We recommend to import a CSV file with semicolon (;) as field delimiter and UTF-8 for character encoding. Our system will show all data imported in a chart, and display errors if some are present. Review the data, fix the errors if necessary, and validate at the end of the chart to import the products into your store. ID of the category the product belongs to (available in Products/Product settings/Categories). It is the lower-level category. You can enter directly the category name. If it doesn’t exist among the categories on your account, the line will appear as an error when importing. ID of the brand of the product (available in Products/Product settings/Brands). You can enter directly the brand name. If it doesn’t exist among the brands on your account, the line will appear as an error when importing. The supply price (excl. tax) of your product/service (used to populate your stock orders and calculate your markup). Don’t include a currency sign, just put the number. ID of the supplier of the product (available in Products/Product settings/Suppliers). You can enter directly the supplier name. If it doesn’t exist among the suppliers on your account, the line will appear as an error when importing. The supplier reference of the product. The price you sell your product/service for (with or without taxes according to your account settings). Don’t include a currency sign, just put the number. ID of the sales tax of the product (available in Settings/Sales taxes). You can enter directly the sales tax (20 % or 0,2 or 0 .2) . If it doesn’t exist among the taxes on your account, the line will appear as an error when importing. Your product barcode, otherwise Hiboutik will generate a unique barcode for your product. 0 if the product is NOT tracked into inventory (the product can be sold immediately but you can only track outputs). 1 if the product is tracked into inventory (you must proceed to a stock order before selling the product). ID of the variant type of the product (available in Products/Product Settings/Variants and variant types). You can enter directly the variant type name. If it doesn’t exist among the variant types on your account, the line will appear as an error when importing. Hiboutik will apply the different variants of the variant type to your product automatically. Specific information by variant can be imported in a second step. – Fields marked with a star are mandatory. – If you don’t need to fill out a column or a field, leave it blank. Keep the same order for columns. – if you don’t import by IDs, names must be exactly the same with the ones in your Hiboutik account (uppercase and lowercase letters, accents, space…). – You can use the Replace function of your spreadsheet to substitute data in your import file. – If the CSV file doesn’t open properly in your spreadsheet, you can search in Internet for help (ex : Excel open CSV) and follow instructions. If variants have specific information compared to the parent product (ex : prices and/or loyalty points different) or existing barcodes, go to the « Upload data: products by variant » (in Products/Import-Export). Download the template (CSV file, delimiter ; and UTF-8 encoding), fulfill it and upload it in CSV (delimiter ; and UTF-8 encoding). In the file, the link between variants and the parent product can be done either on the barcode or the supplier code of the parent product. Enter the barcode OR the supplier code of the parent product to make the link between the variant and the parent product. Complete only if the variant has a specific barcode. ID of the variant (available in Products/Product Settings/Variants and variant types). You can enter directly the variant name. If it doesn’t exist among the variants on your account, the line will appear as an error when importing. Complete only if different from the parent product. This entry was posted in FEATURES and tagged products, import.